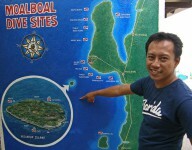 The Blue Abyss Dive Shop has been established in Moalboal since 1997 and is located right at the sea. 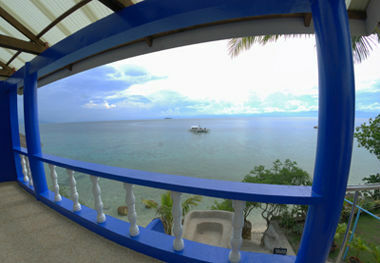 We offer two boat dives and one House reef dives daily, which will be accompanied by an experienced Instructor. 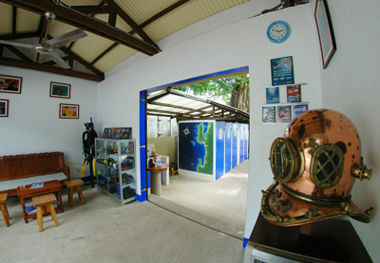 We are familiar with the diving area for more than 15 years. During office hours our guests can make individual dives on our house reef, using the buddy system. 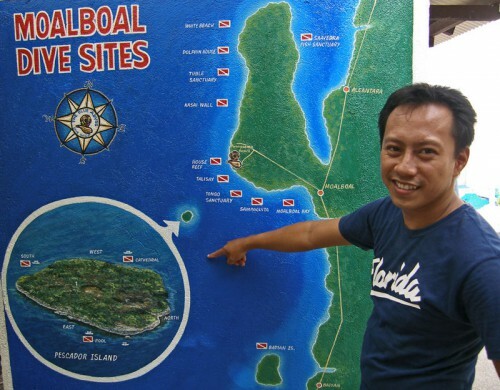 Moalboal has 12 official dive sites which are all protected by mooring buoys.Three of the sites are so far declared as marine sanctuary. 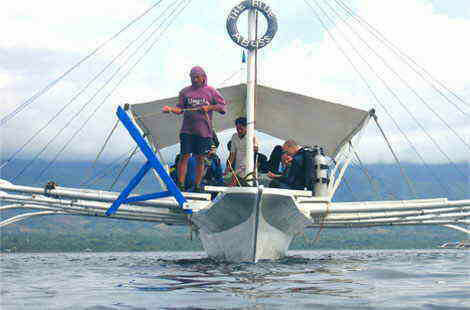 We offer two boat dives daily at 8.30 AM in the morning and at 1.30 PM in the afternoon. The house reef is open for our divers during the shop hours. 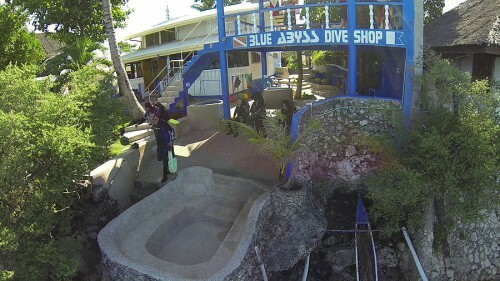 The dive sites are reached within 15 minutes by boat and we always return after the dive to our dive shop. All boat dives are accompanied by an Divemaster, who will guide you to a maximum depth of 40m. 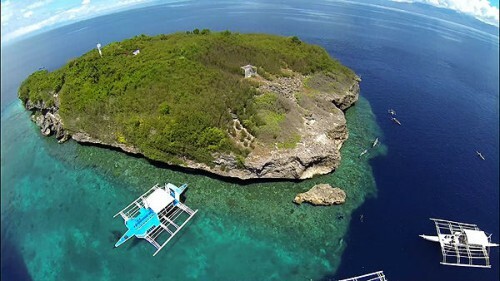 We offer fantastic Underwater DVD Videos from the best dive sites in the Philippines filmed with professional HD cameras. In addition we offer a personal underwater DVD of yourself taken on a spectacular dive spot. Since 2005 Klemens has been capturing fantastic film of marine life and in 2006 he won 1st prize in an underwater video contest. Over the years he has produced educational videos and filmed marine life video footage for marine scientists. He won an award for the documentation about the hunting strategy of pelagic Threhser sharks and the footage was broadcasted by The BBC, National Geographic and the Discovery Channel.